The following Case History is of a Nitric Acid Passivation System for precision aerospace components. 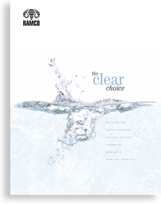 The system consists of five stages comprising five RAMCO MK Immersion Washers. The line runs from right to left. Ventilation ductwork is provided for all wet stages. Roller conveyor sections are on each platform and in between stages as required to provide smooth lateral transfer of baskets from stage to stage. 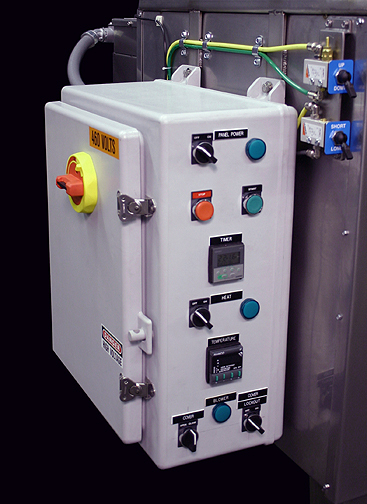 The materials of construction include 304 stainless steel , 316L stainless steel, Alloy 20Cb-3 heating elements and Nema 4X control panels (see below). WASH – The parts are batch loaded into 18”L x 18”W x 6”H stainless steel baskets and placed on the first transport elevator in Stage One. 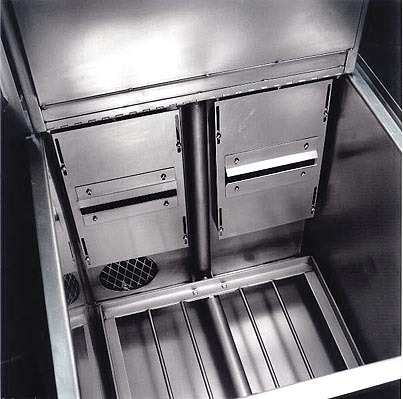 Using a high alkaline detergent at 170 degrees F the parts are washed using vertical agitation. RINSE – The basket is laterally transferred over special platform roller conveyor sections onto Stage Two. Using hot water at 150 degrees F the parts are rinsed using vertical agitation. PASSIVATION USING NITRIC ACID – The basket is laterally transferred over special platform roller conveyor sections on to Stage Three. Using a 25% solution of nitric acid at 135 degrees F the parts are passivated using vertical agitation. RINSE – The basket of parts is then laterally transferred over platform roller conveyor to Stage Four. Using DI water at 150 degrees F the parts are rinsed using vertical agitation. HOT AIR BLOWOFF DRYING – The basket of parts is then laterally transferred over platform roller conveyor to Stage Five. Using hot air at 180 degrees F the parts are dried. 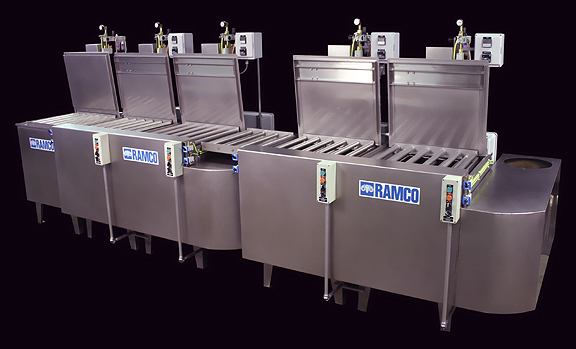 RAMCO Hot Air Knife Blow-Off Dryers get maximum evaporation providing rapid drying without excessive heat.